Platinum-selling rapper Fabolous was spotted at Adrienne Bailon’s birthday party at SL nightclub in NYC. Loso was wearing a pair of wheat Timberland boots with a Burberry Reversible down vest. This past June, YMCMB rapper Drake performed at New York’s radio station Hot 97 Summer Jam concert. 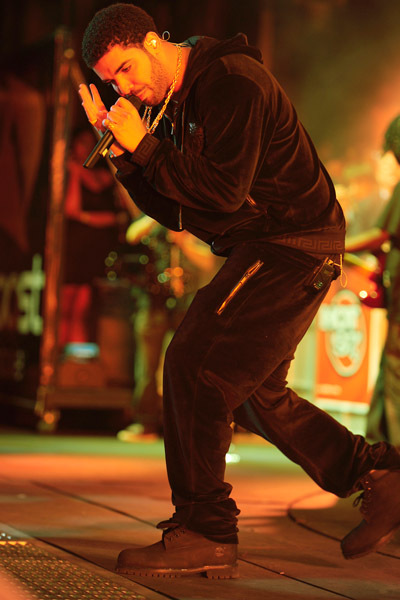 Drizzy was wearing a pair of black nubuck Timberland boots with a $775 black Versace velour sweatsuit jacket and $450 pants. 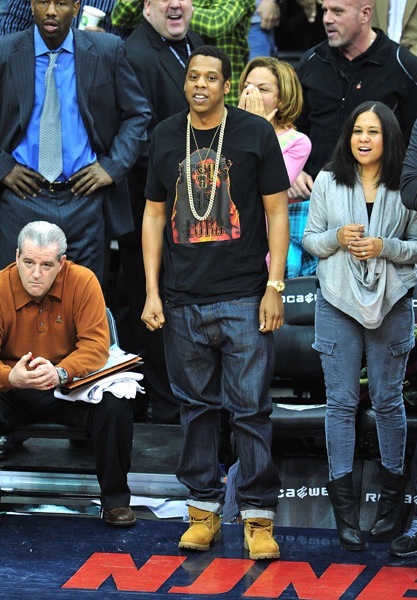 Back in March, music mogul Jay-Z was spotted standing court side at the New Jersey Nets Vs. Los Angeles Clippers game at Newark’s Prudential Center. Jay was styling on them lames in a black Givenchy “Jesus Is Lord” T-shirt with a pair of dark denim jeans and wheat colored construction Timberland boots. The final score was 102-98, in favor of the Nets. Lately, especially last Fall/Winter rapper Kanye West has been spotted wearing wheat colored construction Timberland boots. Yeezy is definitely an innovator and trendsetter, when it comes to fashion. His style is a one of a kind. 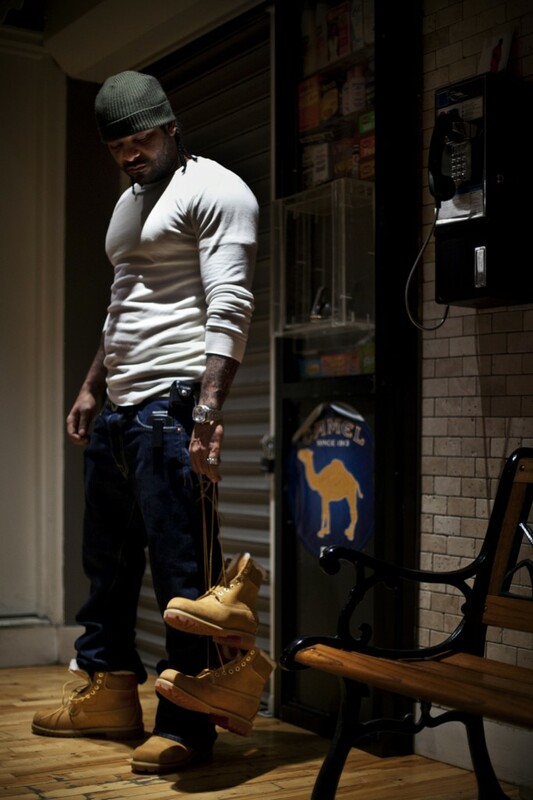 Harlem’s rapper Jim Jones modeled the Ronnie Fieg collaboration shoe with Timberland in a photo shoot. These boots feature a waterproof nubuck upper in a work boot style, lined with authentic interior sheep fur all the way down to the toe. In a recent interviews, Jones mentioned that he and Cam’ron are working on a collaboration album, entitled Fly Boys.